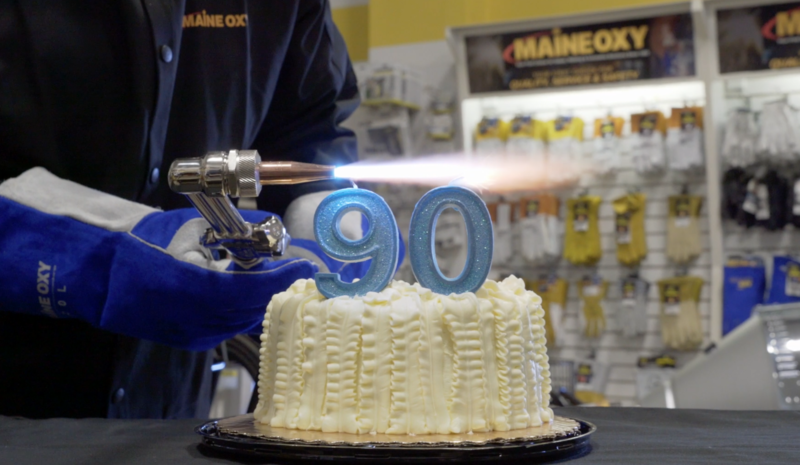 2019 is a big year for Maine Oxy as we celebrate 90 years in business. Maine Oxy is celebrating all year, but we’re not keeping the celebrations to ourselves. Each quarter, we’re giving you the chance to win some pretty cool stuff. Click here for all the details! Maine Oxy started in 1929. It’s mind-boggling to thing of how much has changed over the last 90 years. Rather than try and think of everything that’s different, here are some fun facts about the year 1929. The stock market crash on Wall Street might have been the biggest event of the year, with international effects. On Sept. 3, the Dow Jones Industrial Average peaked at 381.17. It did not reach that number again until 25 years later. The character Popeye debuted in comic strips. The first Academy Awards (Oscars) were held in 1929 with Wings winning Best Picture. Tickets for the Academy Awards cost $5 that year, and 270 people attended. The ceremony lasted 15 minutes. The first public demonstration of color TV was done at Bell Telephone Laboratories. The images shown were a bouquet of roses and an American Flag. The Philadelphia Athletics defeated the Chicago Cubs 4-1 to win the World Series. Both the Boston Red Sox and the Boston Braves finished in dead last in their respective divisions. Portland was Maine’s largest city with 70,000 residents. Lewiston was next with 35,000, followed by Bangor with 28,000 inhabitants. Maine’s total population was 797,000. Five crews of French and American planes planned a transatlantic race from Old Orchard Beach to Spain. The French plane Yellow Bird took off on June 13, 1929. The Pathfinder flew on July 7, 1929. Maine voters approved a $1.2 million bond to build the Waldo-Hancock Bridge. Maine Oxy was founded in Auburn, Maine, originally under the name Maine Gas Service.